Golf Pride invented in 1953 the first "slip-on" grip replacing traditional leather wraps. 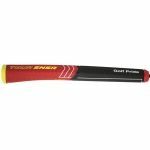 Since then Golf Pride is the market leader in golf grip innovation and 80% of all grips used on the PGA Golf Tour are Golf Pride Grips. 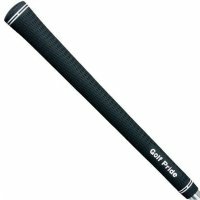 Golf Pride’s 2nd Generation of Tour Wrap grip features enhanced tackiness and an even softer material. 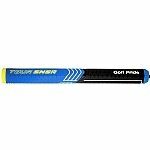 The popular Tour Wrap 2G offers the performance of high-tack rubber and let you enjoy smoother swings and more confident shots. The latest soft performance grips are Golf Pride’s new CP2 grips with innovative Control Core Technology for added stability. The inner core reduces torque by 41% and is combined with soft rubber with high traction for comfort & performance. The new reduced taper profile in the lower hand encourages light grip pressure for a stable swing and more comfort. 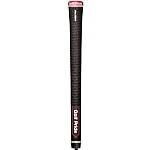 The CP2 grips are coming in CP2 Pro and CP2 Wrap models and are also great for golfers with arthritis. i sold them to a friend and he likes them very much.